With this new program you can earn punches for your Stampin Up orders! 1. 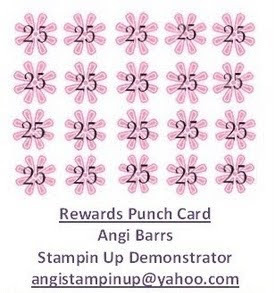 Print out the Rewards Punch Card pictured below. 2. Each card has 20 punches. One punch is for each $25 increment of an order. This does not include tax and shipping charges. 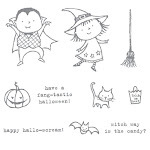 Keep track of your purchases and when your card is full you will get any FREE STAMP SET OF YOUR CHOICE! 5. Once I receive all of this information I will confirm the dates/amounts and order your free stamp. 6. Please email me at angistampinup@yahoo.com if you have any questions about this program. Click on the picture below to print out your Rewards Punch Card! Happy Shopping!